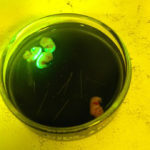 The NIGHTSEA Stereo Microscope Fluorescence Adapter (SFA) improves workflow for research with mouse embryos by detecting GFP-positive specimens and aiding in dissection while still in the mouse facility. For investigation of the physiological properties of motor and sensory neurons a research group collects spinal cords from d12 – d13 mouse embryos carrying a particular trait. Only 50% of the offspring carry the trait, and the trait-positive mice express GFP in the spinal cord. Their normal procedure was to harvest embryos in the mouse facility and dissect out all of the spinal cords. Only then would they bring them to another area of the building to screen them under a fluorescence microscope and discard the unneeded samples. This process involved a lot of wasted effort. 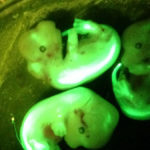 The group was looking for a better way to select the GFP-positive embryos immediately post-collection and pre-dissection without leaving the mouse facility. 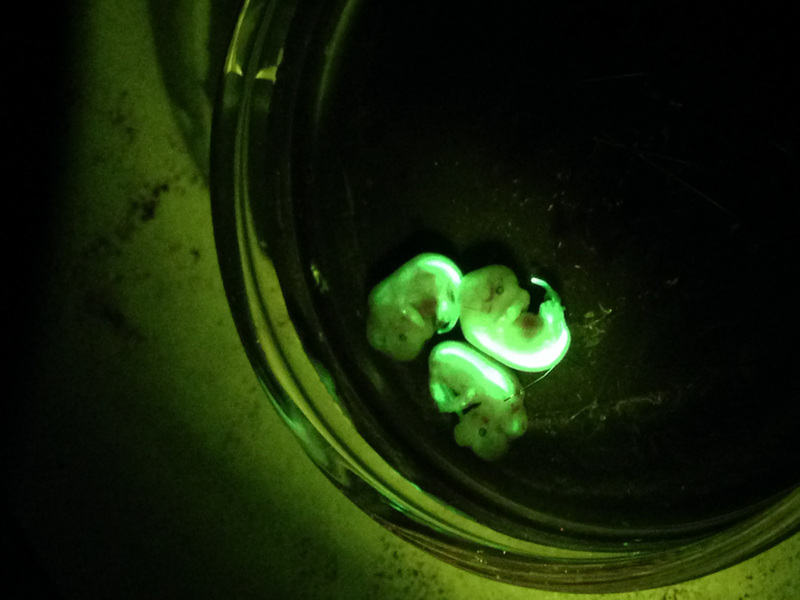 The group tested both the NIGHTSEA Stereo Microscope Fluorescence Adapter (SFA) system and the BlueStar flashlight and filter glasses package. 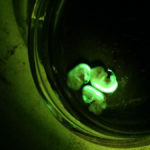 It was immediately obvious that with both fluorescence observation approaches they could see which embryos were GFP-positive – the fluorescence was very bright. While both could do the job of selection, the SFA illumination was brighter and had the added advantage that it could make the dissection process easier since they would be working with a clearly glowing target. They could install the SFA system on a Leica Model M50 stereo microscope that already resided in the mouse facility. The gooseneck illuminator that comes with the SFA will do double duty. 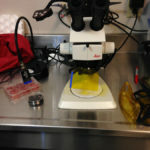 Using it as a desk lamp in combination with a pair of barrier filter glasses the team can screen all of the embryos at once immediately after collection. 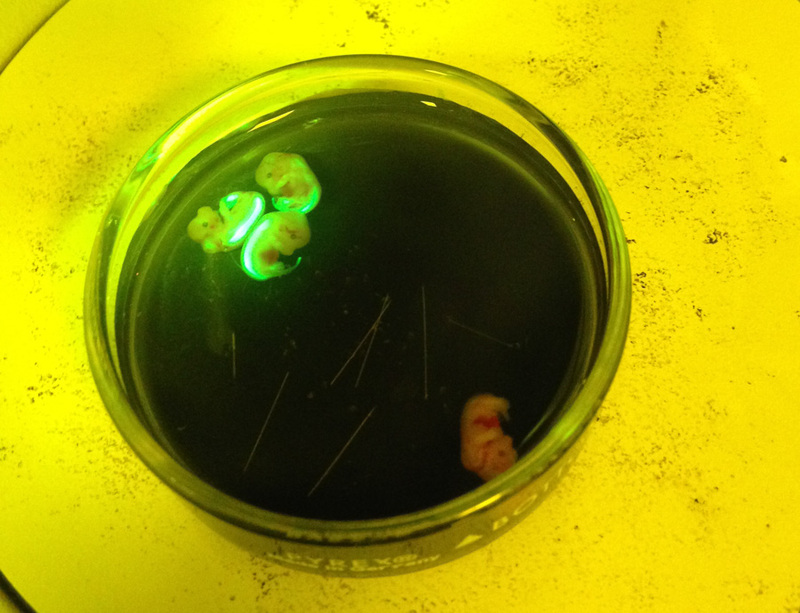 The dissection of the GFP-positive specimens can then be done under the stereo microscope aided by the fluorescence. 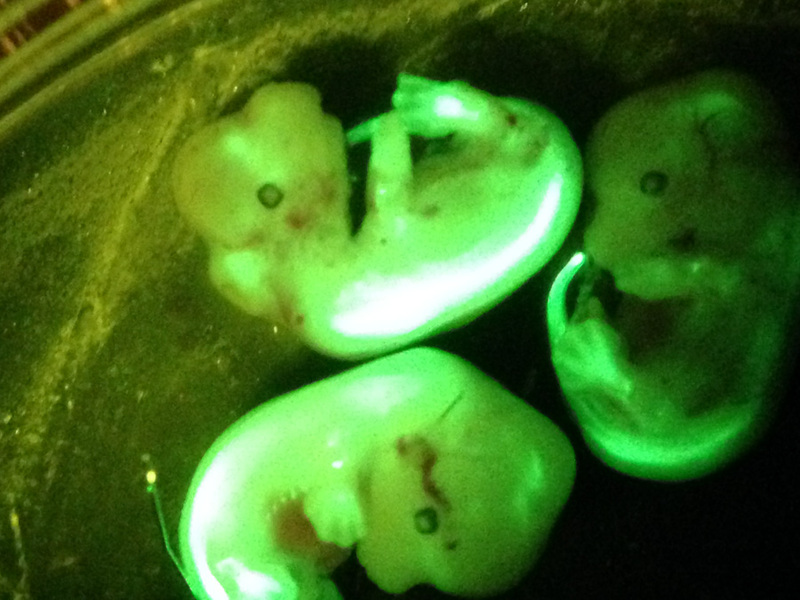 Mouse embryos illuminated by the SFA lamp and viewed through the barrier filter shield. Equipment setup – SFA illuminator used as a desk lamp. 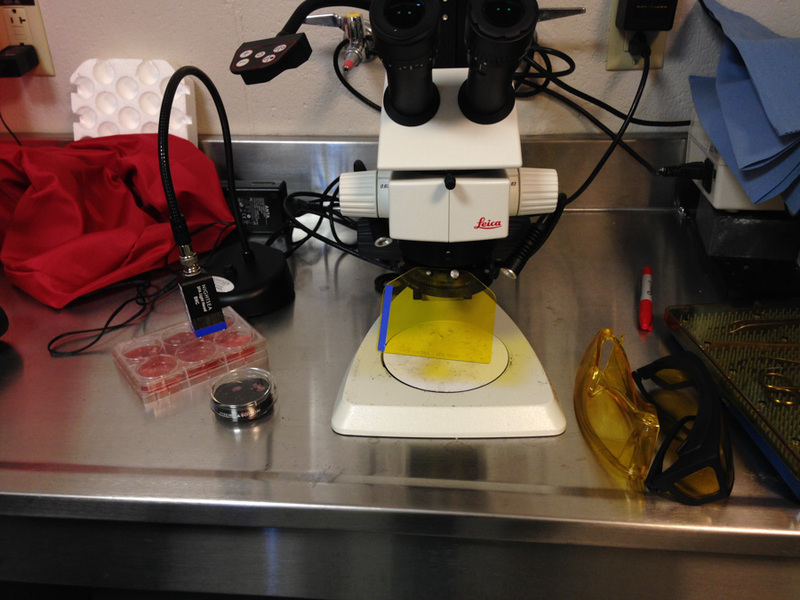 Note barrier filter glasses to right of microscope.